If you were hurt in a car accident in the Chicagoland area, you can bring a claim against the other driver’s insurance policy if the other driver was wholly or partly at fault for causing the accident. In order to bring a successful claim, you need to prove that: 1) the other driver was at least partly at fault, and 2) you were hurt as a result. In addition, if you want to receive a fair settlement on your claim, you need to understand the full cost of your injuries and other losses. If you don’t know this, you will not know if the settlement is a low-ball offer or if it is fair and reasonable. A personal injury attorney will help you both prove your case and document your losses. A law firm can do even more than that, it will greatly reduce the stress of dealing with the aftermath of a car crash by handling all the negotiations and paperwork. At the Orzoff Law Offices in Northbrook, Illinois, we deal with insurance companies all day, every day. We understand what they are looking for and what we need to do to help our clients get their claims settled as quickly as possible for the maximum compensation our clients deserve. If you were injured, we can help. Contact our office to schedule a free initial consultation. We will conduct a thorough investigation of the car accident scene and the vehicles involved. We will interview witnesses, photograph the scene and review police reports. If you suffered burn injuries that suggest a defective airbag, we will work with appropriate experts to identify the problem. It’s important that you receive the medical and rehabilitation care that you need to recover as fully as possible after a car accident. We can guide you in seeking the best medical treatment from established experts in the field. We then communicate that medical diagnosis and treatment plan to the insurance company to document your financial needs. If the insurance company refuses to make a reasonable settlement offer, we use the latest in demonstrative and technological evidence in court to convince the jury of the true value of your injuries. We have been taking car accident cases to trial since 1966. We have the knowledge, skill and resources to be effective advocates for you in court. We don’t let our clients get short-changed: see our client success stories. 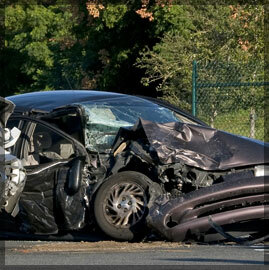 We also handle wrongful death claims from fatal car and truck accidents. To schedule a free consultation to discuss your case, contact the car accident attorneys at Orzoff Law Offices in Chicago and Northbrook, Illinois.